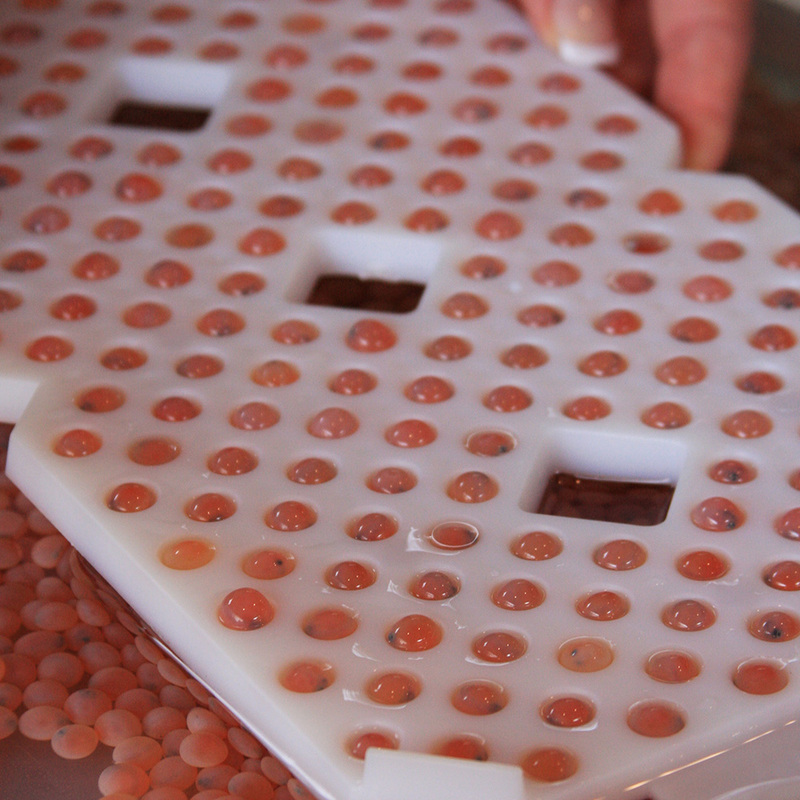 The Jordan/Scotty Fish Egg Incubator is a Scientifically designed and tested plastic incubation unit and was developed to provide an efficient aid in the stream incubating of salmon, trout and walleye eggs. The unique design either eliminates or minimizes most of the problems experienced by natural spawning. 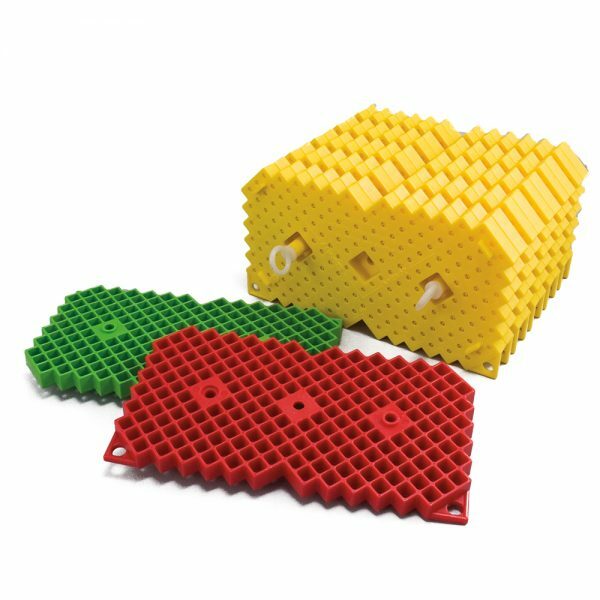 Fungus infection is virtually eliminated and eggs are protected from predators and silt suffocation. Pilot testing indicates that survival rates from egg to fry is often better than 90% as compared to natural spawning survival rates of between 5% and 20%. 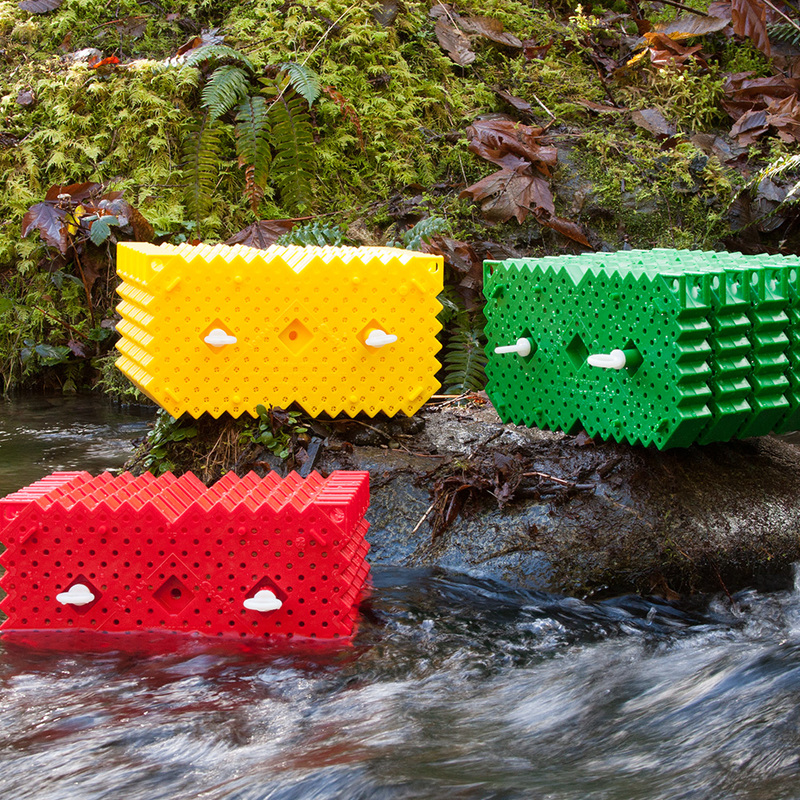 The original prototype was designed and tested by Mr. Fred Jordan, a Salmonid Technician for many years. The success of these early experiments with this unit led to R & D and further design of the incubator by Scott Plastics Ltd. This unit is extremely efficient and very compact. Being relatively simple to use, it does not require any expensive costs. 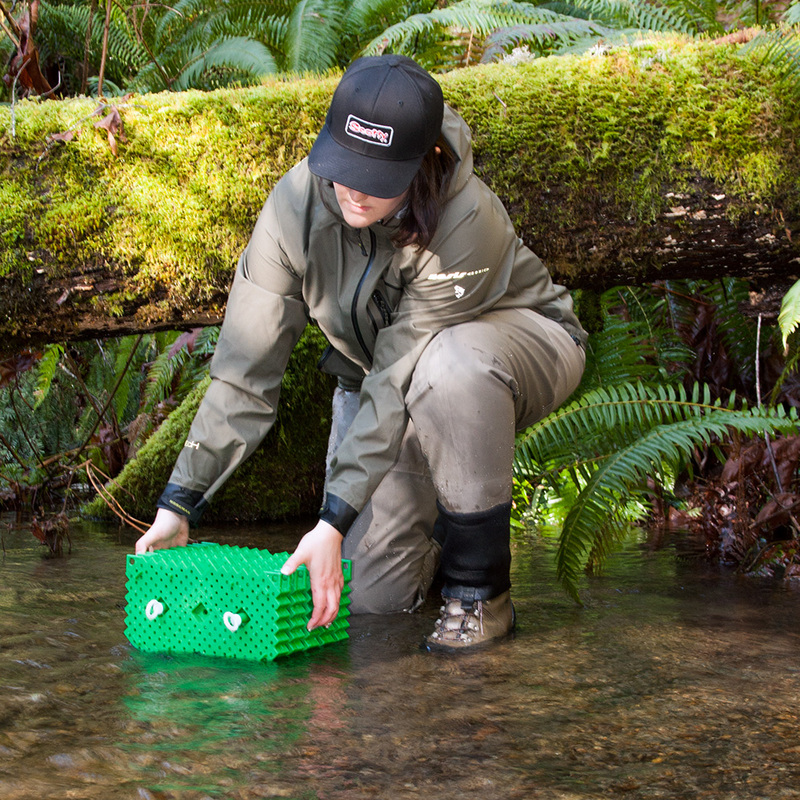 Depending on the availability of eggs, these incubators link well with the good work of stream keepers for starting up streams with restored habitat for both Salmon and Trout. Buried in the right gravel and area, many other small streams can increase and raise safely their eggs from alevins to fry while in these incubator plates.